Are you currently experiencing a silverfish infestation? If you’re not familiar with silverfish, they are a small wingless insect that resembles a fish with legs. These insects are a little peculiar to look at, but shouldn’t worry you too much, assuming you know a reputable silverfish exterminator that you can call! At Eco Tech, we’re well versed in handling all of the major types of pests, including silverfish. Give us a call anytime to setup a free consultation with one of our experienced exterminators. Summertime is the perfect time of year to enjoy the outdoors- hiking, swimming, boating, outdoor picnics, playing sports, the list goes on and on. 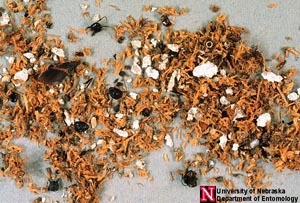 Unfortunately, summertime is also the time of year when pests like to invade homes. 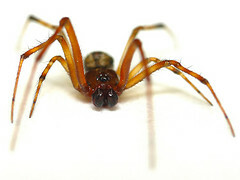 Ants, wasps, spiders, silverfish, and roaches make their way into homes during the summer months and multiply rapidly. If you live in Minneapolis, St. Paul, Bloomington, or other surrounding areas and have noticed insects making their way into your home, but are looking for an environmentally conscious way to rid yourself of them, Eco Tech is ready to help. Some of the pests in the Minneapolis, MN area look like the stuff of nightmares. Some are destructive or dangerous, some are annoying, and some are just plain disgusting. Most of us don’t want these home invaders anywhere around us. However, we may not be sure what methods are safe and effective. That’s when you need to call the insect and pest extermination experts at Eco Tech.